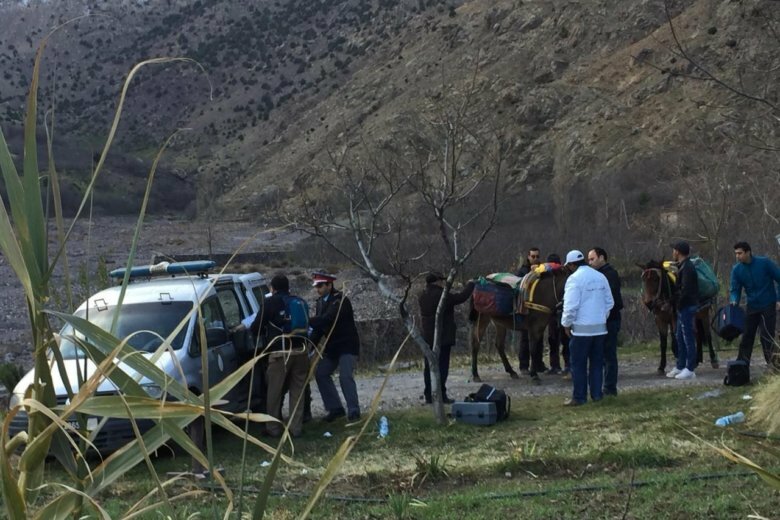 RABAT, Morocco (AP) — The lone suspect arrested in the killing of two Scandinavian tourists in Morocco’s Atlas Mountains is connected to a terrorist group, and three other suspects are on the run, Moroccan authorities said Wednesday. State television 2M reported on its website that authorities consider the two women’s slayings a terrorist act. Local media reported that the suspects had links to the Islamic State group. The Rabat public prosecutor’s office said in a statement Wednesday that the only captured suspect has affiliations to a terrorist group, without naming the group. The suspect was arrested in Marrakech on Tuesday. Three other suspects have been identified and but are still on the run, a security official told The Associated Press. The official was not authorized to be publicly named. The remote mountainous region where the women were found dead is 10 kilometers (6.2 miles) from the village of Imlil — often the starting point for treks to Mount Toubkal, North Africa’s highest peak. Broadcaster 2M released photos and videos Wednesday of forensic investigators and others working around the women’s brightly colored tent on a rocky hillside. The broadcaster said the tent held food and belongings for three people, including an ID card. Media in Norway identified the Norwegian hiker as Maren Ueland, 28. The mayor of her family’s hometown of Time, Reinert Kverneland, told Norwegian broadcaster NRK that he informed relatives of Ueland’s slaying. The victim’s mother, Irene Ueland, told NRK her daughter had taken safety precautions before making the trip. Jan M. Olsen in Copenhagen, Denmark contributed to this report.